Our friend Larry Emerson, Dineh, gentle giant, farmer, scholar and Earth Defender passed to the Spirit World. 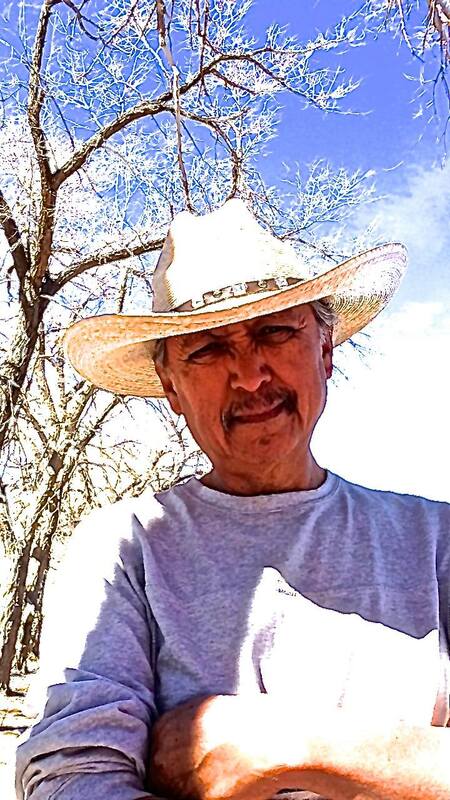 John Redhouse, Dineh, said in tribute to Larry Emerson, "Larry was our Navajo National Treasure. We have indeed lost a great man—intellectually, spiritually culturally, in every way. With his loss, our lives in this world, Fourth World, will never be the same." Six years ago, Larry sent this wish list to Censored News. Larry, always ahead of his time, urged the Navajo Nation to adopt the Rights of the Natural World. "Navajo communities agreed that ancient Indigenous knowledge regarding harmony, beauty, happiness, peace and balance were the real imperatives that sustain a healthy democracy." -- Larry Emerson, 2011.
he had been based at Seoul, Korea. survived by his son, Marc Aaron Emerson; his sisters, Gloria J. THE FAMILY AND COLLEAGUES OF THE LATE DR. LARRY EMERSON WILL BE HAVING A MEMORIAL EVENT IN HIS HONOR ON SUNDAY OCTOBER 08, 2017 FROM 9AM TO 2PM AT THE SHIPROCK CHAPTER HOUSE. WE ARE INVITING FAMILY AND FRIENDS OF LARRY TO COME CELEBRATE LARRY’S LIFE, TO SHARE STORIES, SONGS AND MUSIC. TO COMPLETE OUR CELEBRATION WE WILL HAVE A POTLUCK DINNER, YOU ARE WELCOMED TO BRING FOOD TO SHARE. EMAIL JANENE YAZZIE AT Janene.y@sixth-world.com OR CHILI YAZZIE AT chili_yazzie@hotmail.com FOR QUESTIONS. Dine' farmer and scholar Larry W. Emerson shares his wishlist for 2011 with Censored News. "It is a wishful thinking - and I hope thought provoking - article regarding five Indian news headlines I'd like to read in 2011," Emerson said. He is a farmer, artist, activist, and scholar. 1. Navajo Nation Council sets new principles for self-governance: healing, decolonization, transformation and mobilization. Leaders agreed that the days of blind-faith assimilation and modern world seductions regarding power, greed, control, conquest and egotism were the true evils of colonialized Navajo self governance. In a related action, leaders agreed to restore the sacred circle and to reject the unhealthy political hierarchy copied from western politicians and bureaucrats. 2. Navajo Nation adopts democratic measures to include rights of the Natural World. Opening clause reads: “We, the People and the Natural World…” Navajo communities agreed that ancient Indigenous knowledge regarding harmony, beauty, happiness, peace and balance were the real imperatives that sustain a healthy democracy. 4. Chapter governments agree to collaborate under new districting system. In a historic set of local meetings, the Navajo people elected to begin formal collaboration between communities by restoring and regenerating age-old principles of identity, place, kinship, community, respect and generosity. Chapters also agreed to adopt Navajo principles of decision-making because of the need to be accountable to and respectful of all people and all life forms. 5. Navajo Nation sets new economic priorities to empower informal private sector. Leaders cited this layer of society as the truest expression of Indigenous–style economic thinking. The new Council declared this layer of Navajo society to be the best experts regarding needs to build strong local economies. “They speak the Navajo language and understand how to integrate principles of k’é and economics," one leader was heard to say.